We reduce the cost of treating and disposing of waste water — sewer treatment is half the cost of water. Our infrastructure, such as pipes and treatment plants, will last longer. We save money on our energy bills at home and work by heating less water". Our newest Team Member - Samantha! Samantha comes to Capital Core Financial with over 10 years of experience in the finance sector. She is a kind, well-spoken, driven and sharp individual who loves cats, soccer, and listening to country music. Samantha is eager to excel in her role as the Executive Assistant and Insurance Support Specialist at Capital Core. Say hi to our summer intern Jordan Mirembe. 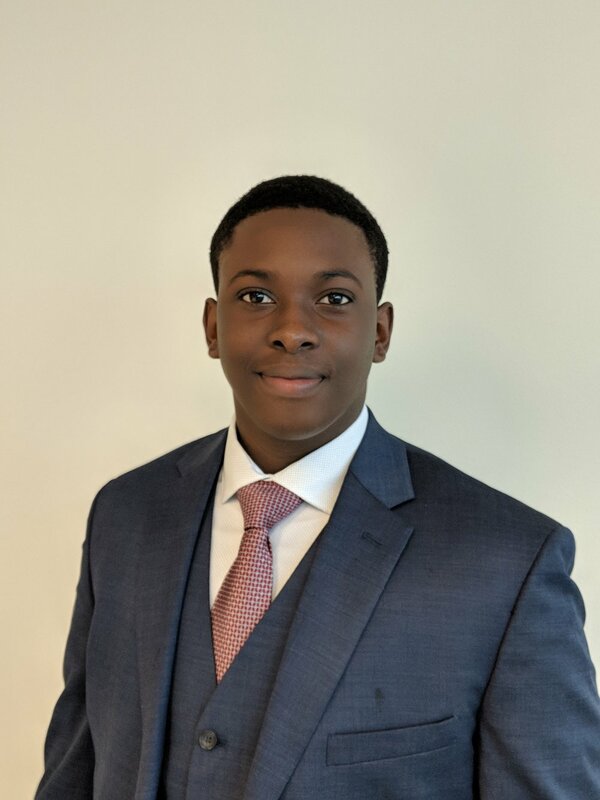 We are excited to have this intelligent, dynamic and eager young lad working with the Capital Core Financial team as a junior research analyst. Jordan will be attending the University of Toronto in September to study economics and political science. His goal is to attend law school and thought that some experience working in the financial sector would diversify his skill set. At only 17 years old, Jordan has proven himself to be a bright, charismatic, well-spoken and analytical individual - he’s also a contender for best-dressed at our office! It is encouraging to see young people like Jordan emerge from the school system eager to take on new challenges and adapt to new environments. The future looks bright! Peer Exchange in Kelowna, BC. Marissa Elliott of Capital Core Financial visiting Kelowna last week to share ideas and experiences with some of the top female advisors across Canada. Another informative and successful Tax Tips & Strategies seminar on behalf of the Canadian Cancer Society! Franco and Marissa of Capital Core Financial presented alongside Mark Hoag and Kevin Yu from MNP Accounting. Thank you to the Canadian Cancer Society and its donors! Marissa Elliott standing alongside the Run for Water team holding a cheque for $501,700 that was raised for clean water projects in Ethiopia. We are proud to have Marissa on the board for such an incredible and impassioned cause! Spending time outdoors is one of the best ways to calm our mind and recharge our spirits. Sometimes a slow, quiet, mindful walk through the forest is all it takes to re-energize our bodies and put everything into perspective. Slow down, calm the mind, and take some time to listen to the birds chirping from the trees above. A big shout out our Administrative Team here at Capital Core Financial! Thank you for being awesome everyday! We are so grateful to have you on the team! Carrie and Kenneth were not here for the picture today so Dawne and Alicia wore extra bright smiles for everyone! Here’s to an awesome year and many more to come! It's our 7 year anniversary! 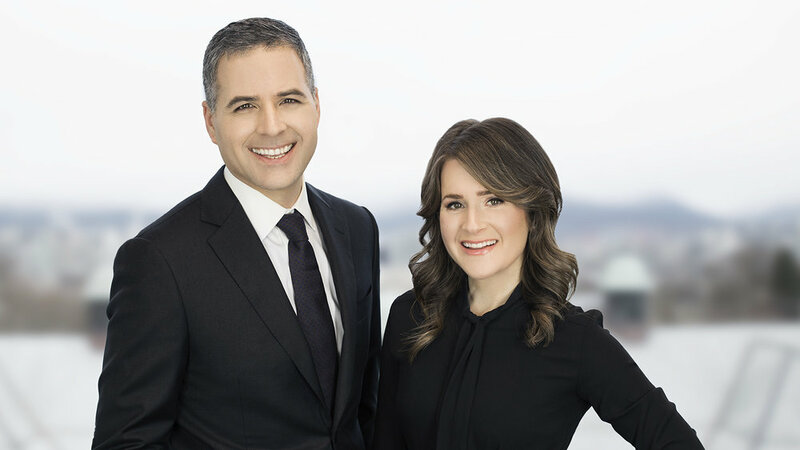 In 2011, each with a decade of experience in the financial industry, Franco Caligiuri and Marissa Elliott decided to team up and form Capital Core Financial. That was 7 years ago and what an incredible journey it has been! From learning to build and grow a successful firm, to navigating the complex dynamics of a working partnership - the experience has been nothing short of life-changing. “Watching the business blossom and building incredible relationships with both our team and our clients has been more rewarding then we ever could have imagined”. Thank you to everyone that has supported us throughout this journey! We are excited to see what the future holds! Bright mornings in the new office of Capital Core Financial. Open concept, modern, bright, clean and one of the best mountain views in the city. We love our new space! Last week, Marissa Elliott from Capital Core Financial had an opportunity to speak Meghan Black at the Canadian Cancer Society to discuss the importance of setting up a Will as well as a very unique initiative created by the Free Wills Network! We introduced Meghan to the Free Wills program - See below to hear Meghan's thoughts on this exciting initiative. Please visit www.freewillsnetwork.ca to learn more! Some of our team getting silly at last weeks activity day (we missed you Steve, Carrie, Sonia and Chris)! 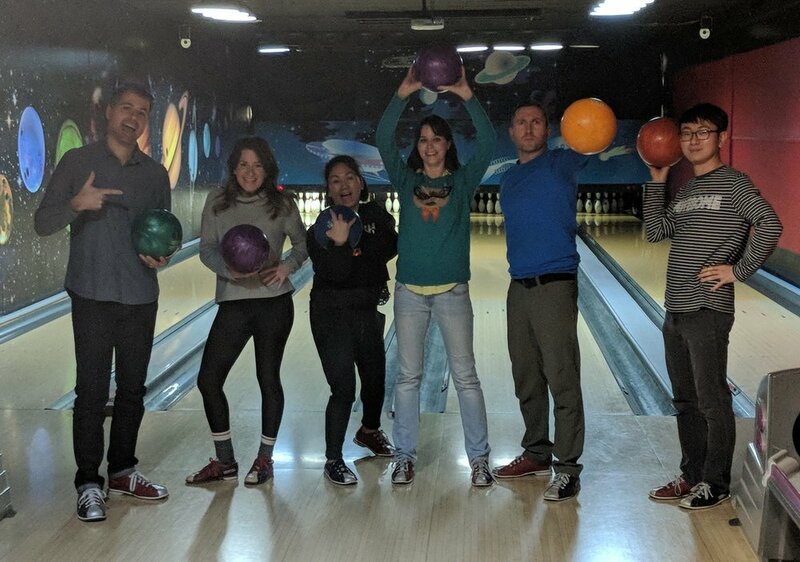 Once a month we take an afternoon to dress casually and leave the office for a fun team outing! No work-related discussion - just laughs, exercise and greasy french fries! Everyday we take some time to consider how lucky we are to have such a strong, committed, and thoughtful team. Congratulations to Marissa Elliott for receiving the Outstanding Mentor Award from the SFU Beedie School of Business! At Capital Core Financial, we believe it is important to “pay it forward” whenever possible. Our success as individuals and as a company is owed in part to the support from our community and those that have mentored us along the way. Thank you to Tracy Li , who is completing her masters in the Science of Finance at SFU and was paired up with Marissa for the mentorship program. Flash back to December to Franco Caligiuri and Marissa Elliott donating $5,000 to A Better Life Foundation on behalf of the Million Dollar Round Table Canadian Charitable Foundation. The cheque was presented to ABLF founder Mark Brand during this month’s Greasy Spoon Supper Series at Save On Meats - an event created to raise awareness around hunger and homelessness on Vancouver’s East Side. Check out their campaign #BeingHungrySucks for more information.